BSP supremo Mayawati had also urged Muslim voters not to “split” their votes between Congress and her BSP-SP alliance in Uttar Pradesh. 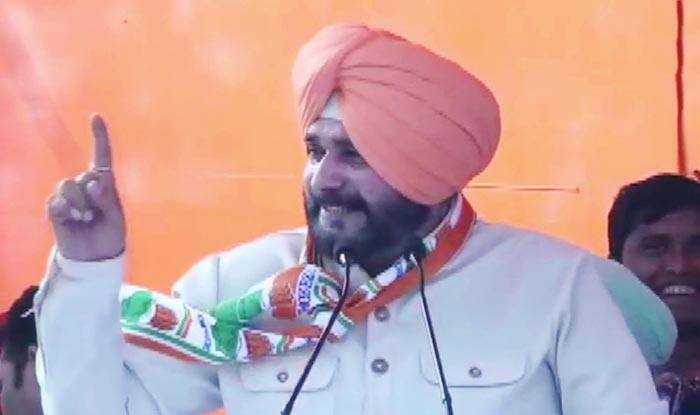 New Delhi: Congress leader and Punjab minister Navjot Singh Sidhu stoked a fresh controversy on Tuesday by urging Muslim voters to remain unified and vote in favour of Congress candidate to oust PM Narendra Modi. Sidhu also asked them to not let parties such as Owaisi’s AIMIM ‘split’ the votes going to the grand old party in Lok Sabha elections 2019. “Main aapko chetavni dene aya hun Muslim bhaiyon, ye baant rahe hain apko, ye yahan Owaisi jaise logon ko la ke,ek nai party khadi kar aap logon ka vote baant ke jitna chahte hain. Agar tum log ikathe hue, ekjut hoke vote dala to Modi sulat jaega’ (Muslim brothers, I have come here to warn you. They are trying to divide you. They are trying to divide your votes by bringing in people like Owaisi here and help a new party form its base here. If you all stand united and vote, then Modi will be finished,” said Sidhu while addressing a rally in Bihar’s Katihar. The development comes a day after the Election Commission barred Uttar Pradesh CM Yogi Adityanath, BSP chief Mayawati and BJP leader Maneka Gandhi from poll campaigning for wooing voters on communal lines and violating the model code of conduct. Earlier on April 7, BSP chief Mayawati had appealed the minorities, especially the Muslims, to vote for the ‘Gathbandhan’ (SP-BSP-RLD), saying that Congress is busy dividing the vote bank as they do not want to defeat the grand alliance. “Don’t get divided, vote en masse for Gathbandhan. We have BSP vote in every seat, SP is also mobilised. If Muslims want BJP to lose, they have to stand firmly behind Gathbandhan,” Mayawati had said while addressing first joint campaign rally of SP-BSP-RLD in Saharanpur’s Deoband.